ScriptRunner for Bitbucket allows you to enhance your Bitbucket projects, git workflows and git repositories. ScriptRunner for Bitbucket makes administering your Bitbucket instance a breeze. The following are just five areas where users can extend and automate Bitbucket, there are many many more …​. Synchronise all of your BitBucket and GitHub repositories in Bitbucket. Conditionally block huge git binaries BEFORE they are pushed to Bitbucket. 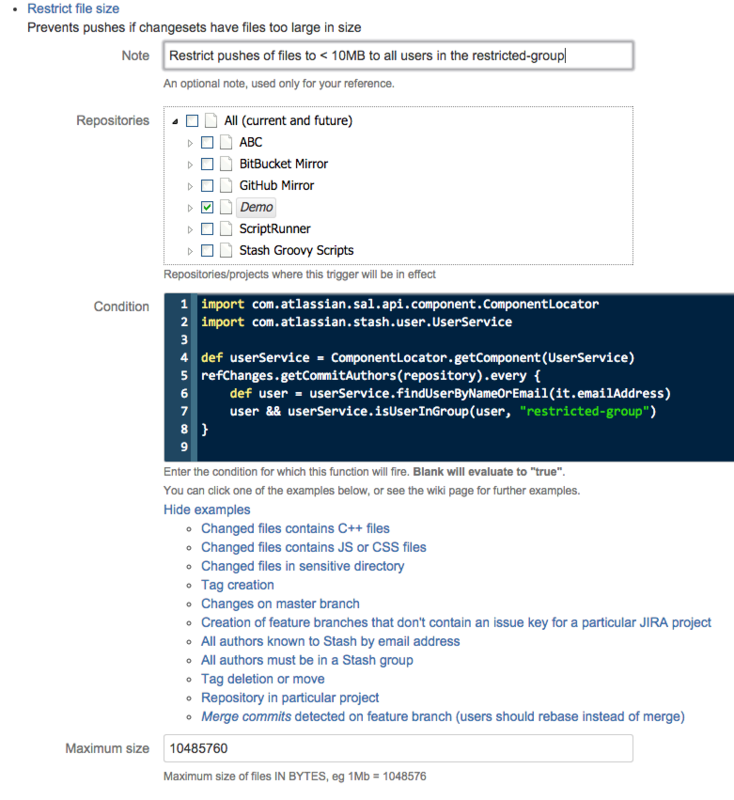 Enforce ALL branches and commits are associated with a JIRA issue (with JQL condition).